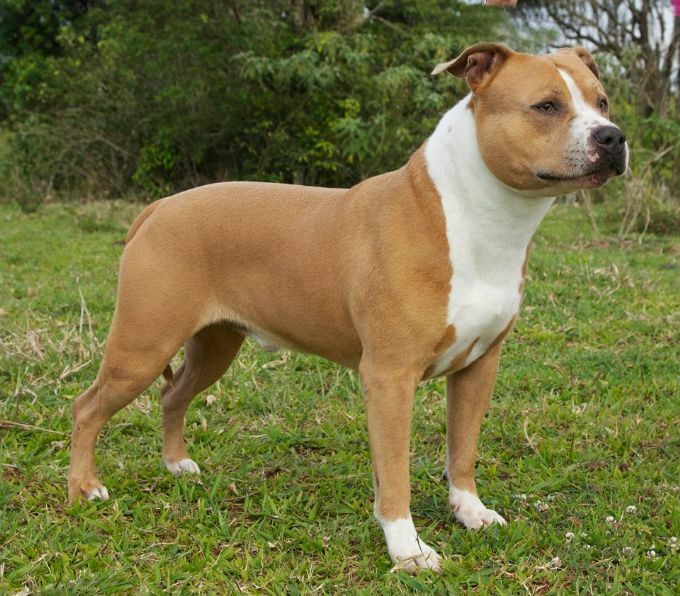 Home of quality American Staffordshire Terriers bred to the standard for true type, temperament, structure & health. Aust. Ch. Ravinboutya TwentyFour Seven CA ET being the FIRST EVER American Staffordshire Terrier to receive her Lure Coursing Title in Australia! He is also the proud sire of Best In Specialty Show, Runner Up Best In Specialty Show, Multi Best In Show & Multi Class In Show & Class In Group Awards Progeny. Huge thanks to Nathan and Angela Graham of Ozmyte Amstaffs for breeding my gorgeous dogs Aust. Ch. Ozmyte Caramel Delite (Chanel) and Supreme Aust. Ch. Ozmyte The Deeds Done (Angus).